CCMA and the Campus Ministry Office of St. John Fisher College will host an Easter Campus Ministry Retreat. We will explore the recent Youth Synod and its implications on the New Evangelization as it takes form on college campuses. 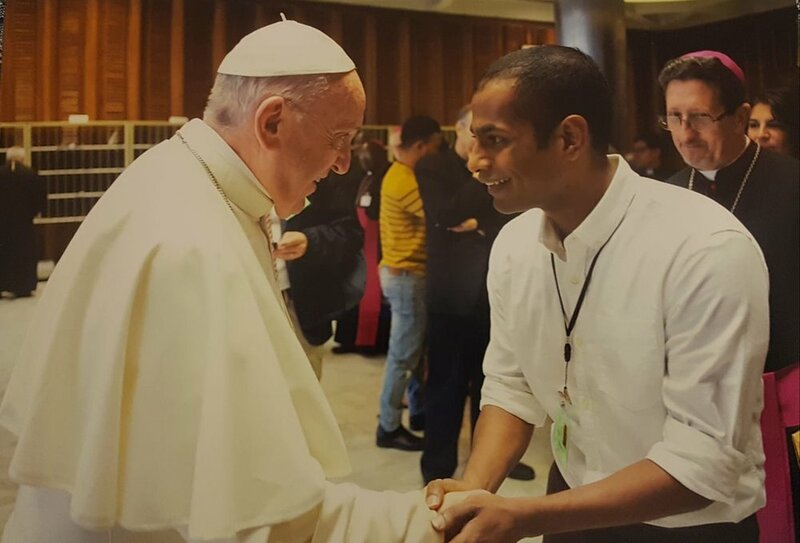 of Salt + Light Media’s The Francis Impact. The nearest airport is Greater Rochester International Airport (ROC) and is conveniently located approximately 13 miles from St. John Fisher College. Rental cars, shuttles, Uber/Lyft and other modes of transportation are available for your convenience, as well as other travel information. Woodcliff Hotel and Spa is approximately eight miles from St. John Fisher College and 15 miles from the airport. The rate is $129 per night plus tax. Please use the code CAMPUS MINISTRY RETREAT to secure this rate. Call 585.381.4000 or visit online for more information. If your campus or organization would like to support the One-Day Retreat, please contact Chrysta Bolinger at bolinger@ccmanetwork.org to learn about the opportunities for sponsorship and more.